One of the best ways that we can bond with our children is by spending a little special time with them. 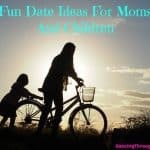 It doesn’t have to be multiple days or weekends if you don’t have that kind of time, but taking your child on a date here or there can be the key. When you spend time with your child, you are telling them that they are important to you. If you can put down the phone for a few hours and concentrate on only them and you, you make memories that can last with them for a lifetime. These dates don’t have to be expensive. 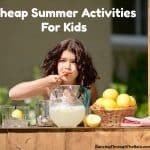 There are lots of ways that you can spend time with your child and not break the bank. 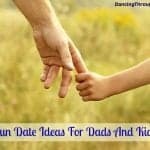 Are you looking for a few date ideas to go on with your kids? 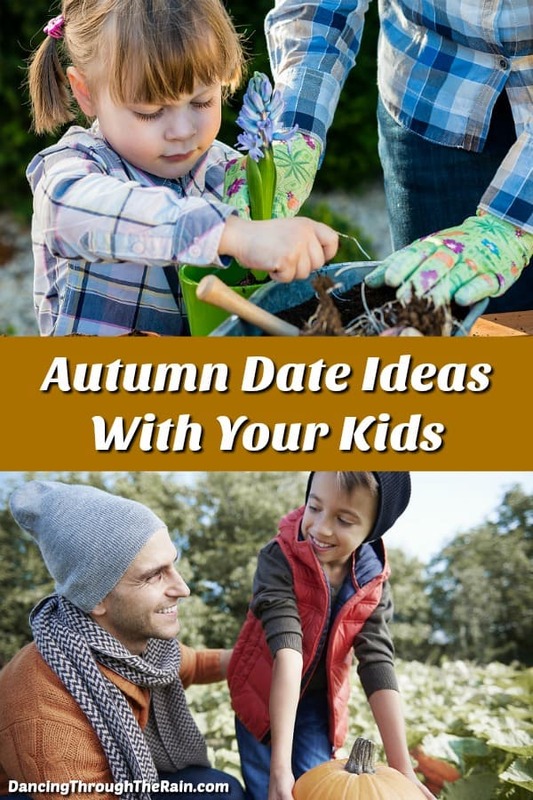 If so, there are tons of date ideas for mom and child as well as dad and child, but here are a few other cute date ideas that you can specifically do in the fall. Visiting an apple orchard is synonymous with fall, don’t you think? The beautiful gold and red hue of the leaves in autumn is enough reason to visit your local orchard, but there is often lots more to do. Picking your own apples is a great family activity. If you have a few options in the area (or within driving distance), try to choose an orchard that requires you to ride in a cart out to the apple trees. This always adds to the experience and is a lot of fun, even though it typically lasts only a few minutes. Most orchards will have you purchase a bag for apples before you enter the grounds (although some are different, they will all require you to purchase the apples you pick). Head out to the apple picking area with your child and start picking! Many orchards will grow different kinds of apples, so take a little time to try the different varieties (straight off the tree!) and see what you like best. Talk about why your child likes what they do and why they don’t care for what they don’t. Take your time with it! Many orchards craft their own ciders and prepare a wide variety of baked goods as well, so consider taking some apple cider donuts home with you as a souvenir. Walks are a great way to get out of the house and exercise as a family. Let’s face it, cold winter weather has a way of sneaking up on you, so you might want to get out there before you can’t. Walking together is the perfect time for your family to catch up with each other and share what’s going on in each other’s lives. Leave all of the phones at home (except maybe one that is only for emergencies – no taking it out to Google or check social media!) and get outside. Count this time as a date for your family and just be together. If your family is one that enjoys playing games together, try playing some I-spy or organizing a nature-related scavenger hunt on the journey. Play a game where you hunt for different colored trees just as you would the license plate game. See which color you find the most. If your kids love arts and crafts, these walks are also wonderful for scoping out supplies. For example, collect different colored autumn leaves along the way. Once you get home, seal them between two pieces of wax paper using an iron. You can either frame the masterpieces, hang them up in bedrooms or put them in a scrapbook. Pine cone bird feeders are also super easy to create. Small children can definitely help and the birds will love you for it. Spread some peanut butter on the pine cone, roll it around in some bird seed and hang it from a tree with a little string or rope. The more pine cones you collect, the more the birds will benefit! Plus, your children get to see that they did something to help their feathered friends. You can’t do any gardening where there is snow on the ground, so take some time with your child and do it in the autumn! Planting bulbs during fall months is a great way to have beautiful flowers in the springtime. Gardening is a therapeutic hobby for kids of all ages and is extremely rewarding once spring has sprung. Help your kids choose the type of flowers they want to plant and shop together. Construct a template for the layout of the garden or just wing it and get to planting! While you are out there, play some music and put together a little surprise picnic. 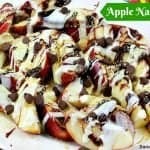 It doesn’t have to be anything grand, but a few paper plates, a few cookies, a little fruit and anything else you might want to serve is plenty. You just want them to know that you thought of them and planned something special. Halloween is one of those holidays that is enjoyed by as many adults as children. People can’t get enough of dressing up in costumes, passing out candy, making fun Halloween treats (like a Halloween Trifle and Mummy Brownies) and adorning their houses with spooky décor and jack-o-lanterns. What’s better, pumpkin picking can be a fun tradition for many families during the month of October – or one on one as a date with your child. If you do want to go as a family, see if you can tag-team with your partner so that each of you gets some alone time with each child. Another bonus about pumpkin patches is that many of them offer other activities. Many pumpkin patches have petting zoos and hayrides, corn mazes and climbing equipment. For a small fee, you may be able to do each of these activities or just a few, but just being together is the key. If you are really looking to watch your expenses, do all of the free things that are offered and maybe buy some popcorn or a treat to share. Head home with one of the smaller pumpkins and participate in helping your child (or children) paint or carve it. You don’t have to spend a lot to make a day like this count. 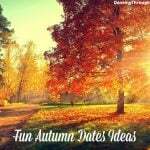 These are just a few autumn date ideas that you can take with your kids, but there are many more. 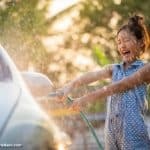 Try to get a feeling for what your child enjoys, put the computer and phones away, and take advantage of the season. There is so much to do without spending a lot of money, and in the end, your child is less interested in stuff and more interested in just being with you. It won’t be like that forever, so be sure to make yourself available while they still want to spend lots of time together.